*Fans self* Friends, this is not for those of you who like your romances to be sweet. Sleigh Ride is a hot book about two complicated men who find themselves pushed together to raise some money for a good cause in time for Christmas, and wind up in a life-changing, passionate sort of entanglement that changes their lives and the lives of those around them. AND on top of all that, it espouses the wonder of libraries! Hallelujah! My book club flipped out over Cullinan's steampunk masterpiece, Clockwork Heart, last year, and I've looked forward to reading something else by her ever since. Sleigh Ride was great, and it made me worry for these characters, and then it made me very happy. The Minnesota Christmas series is available on Amazon. I grew up in northern Michigan, which is quite similar to Minnesota in a lot of ways. Both states share an avid love of deer hunting. I don't really get the appeal of hunting, BUT I do understand that white tailed deer are a species that would overrun Michigan if given the chance, so...the world is full of gray areas, right? Anyway! 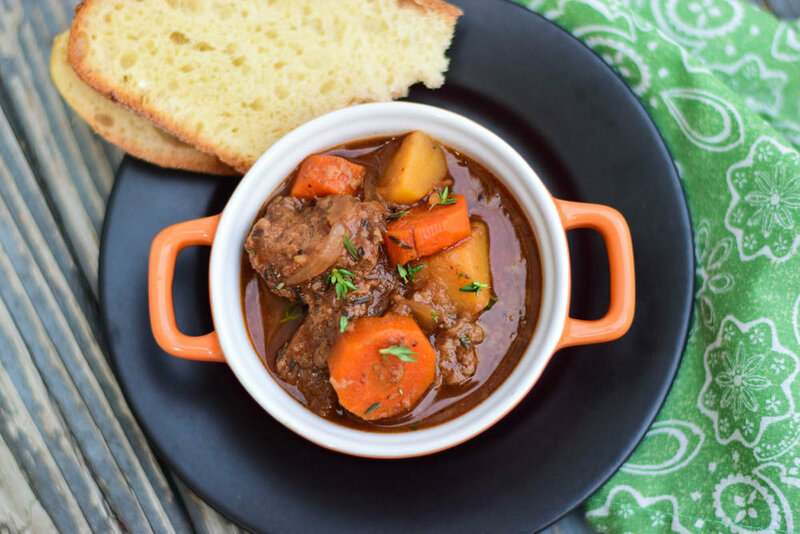 All this deer hunting means venison is a common meat, and Sleigh Ride mentions it a few times....so here's a recipe for venison stew!